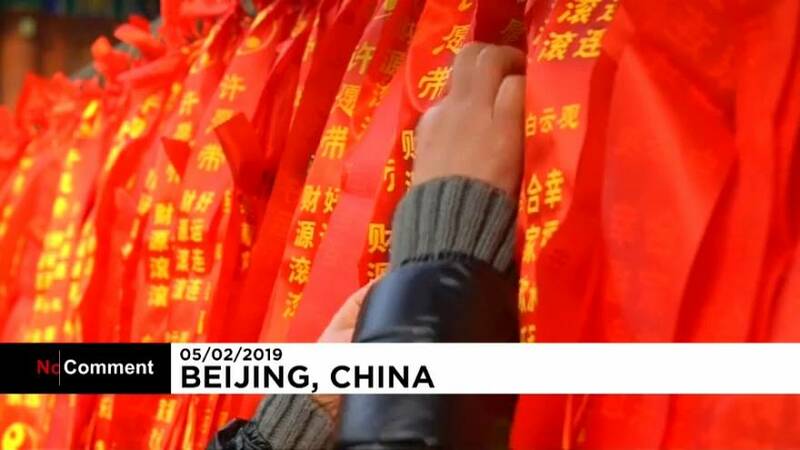 Thousands prayed for good health and fortune at Beijing’s White Cloud Temple in Beijing on the first day of the Lunar New Year. People wrote prayers on red ribbons asking for a promising Year of the Pig ahead. Other temple-goers burned incense and threw coins at a bell under a bridge at the entrance to the temple for good luck. Also known as Spring Festival, the Lunar New Year celebrates the beginning of the ploughing season and warmer weather to come.